Efrem Korngold is one of the leading traditional Chinese medicine teachers and practitioners in America. He is co-author of the widely read Between Heaven and Earth: A Guide to Chinese Medicine as well as many articles. 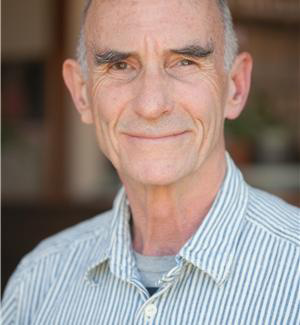 He began his studies at the College of Traditional Acupuncture in England in 1972 and studied herbal medicine at Kunming Traditional Chinese Medicine Research Institute and Shanghai College of Traditional Chinese Medicine, Shu Guang Hospital. Content included with this product. Sign up to be notified when the mobile-friendly recording is made available. The Yin/Yang-Five Phase paradigm is, at its core, a description of human development from the embryonic stage to adulthood. Within this paradigm, the San Jiao (Triple Burner) emerges as the central mechanism that organizes and guides growth and development. Using this model helps us understand the trajectory of both healthy development and how distorted patterns manifest as illness in childhood. Illustrative case examples will demonstrate a practical, systematic methodology for evaluating a child and formulating an effective treatment strategy. This course has two learning focuses: diagnostic and therapeutic tools for integrating pediatrics into clinical practice, and how ontology informs pathology. It integrates both Western and Chinese medicine perspectives on childhood illnesses and condition to provide a practical, systematic approach to diagnosis and treatment. It aims to educate practitioners in preventing and treating physical distress as well as aims to improve confidence to work with children of all ages and to spread the joy of pediatrics. Inflammatory lung and skin conditions are among the most common conditions that challenge the adaptive capacity of children. There has been an epidemic rise in inflammatory disorders that began after World War II. The accelerated pace of modern life generates a condition of excess Heat in the organism and in the world. In Western terms, this is a result of sympathetic overdrive—excess secretion of cortisol and adrenalin—that sets the stage for chronic inflammation. Recognize and understand the underlying process of a healthy inflammatory response – euflammation - from Western and Chinese medicine perspectives. The role of the Triple Burner (san jiao) in the functional mediation of inflammation. Learn to map a case using the principle of Five Phase Triads. Using Five Phase Triad mapping, learn to formulate treatment protocols, including acupuncture, herbal formulas and nutritional supplements. The Triple Burner system is the Developmental FU, an “invisible” organ that governs the neuro-gastro-endocrine-immune complex and the Western physiological integration with the gut microbiome and the parasympathetic/ poly-vagal nervous system. The example of wei/ying qi as a microcosm of yin/yang harmonics. Triple Burner - Five Phase Triads redux: classification and treatment of pediatric eczema according to the integrated model of the Triple Burner and Five Phases. How are asthmas and eczemas are connected and how do they interact with each other?